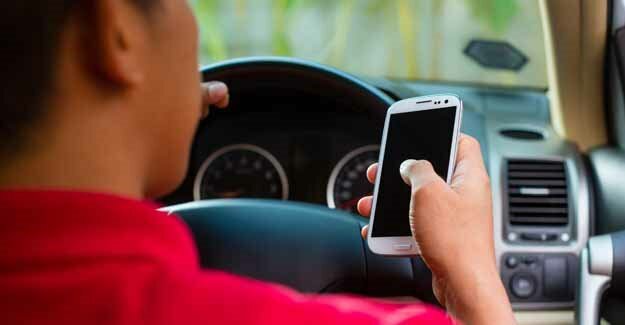 The government has announced that it will double the penalties for drivers who use a hand held mobile at the wheel and also deny first-time offenders the chance of undertaking a remedial course. Responding to a consultation on the subject the Department for Transport said it “…will double the penalty by increasing the fixed penalty fine from £100 to £200 and increasing the penalty points from 3 to 6 for all drivers – we do not propose to differentiate between cars and HGVs. “The stiffer penalties reflect the seriousness of the problem and the concern of the public. Using a hand held mobile at the wheel must become as socially unacceptable as drink driving and peer pressure will play as big a part in achieving this as tough laws, strong enforcement and education programmes. Penalties for the use of a hand held mobile were introduced in 2003 in the form of a £30 fine. In 2007 the fine increased to £60 with three penalty points added to offenders’ licences. In 2013 the fine went up again, this time to £100. Research by the RAC Foundation suggests that texting whilst driving impairs drivers’ reactions by more than being at the legal drink-drive limit.